Kate’s Kitchen, Washington, D.C.—Awoke Thanksgiving morning to a truly miraculous holiday recipe discovery. 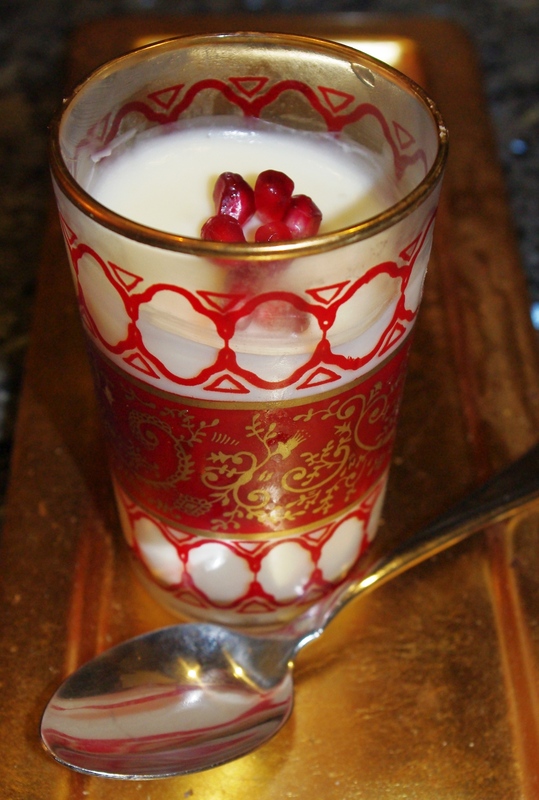 The Meyer Lemon Posset whipped up the prior evening had set and was ready for tasting. This incredibly simple recipe with the strange name consists of just whipping cream, sugar and lemon juice. After coming to a bare simmer, it sets up into a hard-to-describe ethereal something. It’s beyond whipped cream, but it’s not a mousse, not a cooked cream. It’s creamy, tart, silky, refreshing. Made for a lovely palate cleanser after the main event. And we think it would work equally well with other citrus, such as the key limes in the fridge. My grandmother used to put a can of evaporated milk in the fridge for 2 hours then with the hand mixer she would whip the evaporated milk, lime juice and sugar until mousse like and then put it back in the fridge. I love it and it’s absolutely simple too. no cooking required so unlikely you will burn the milk in the process.